CEOs practicing meditation, the challenges of corporate politics, social differences between team members and customer satisfaction: it’s all connected. 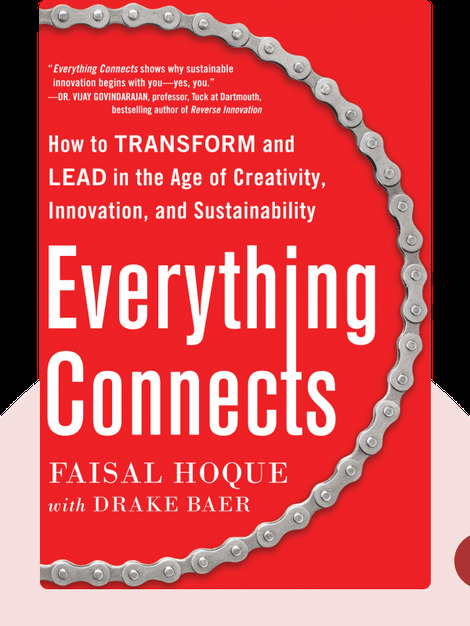 Using a holistic approach, Everything Connects (2014) will help you transform your working environment into one that understands such connections and supports as well as increases creativity and innovation. 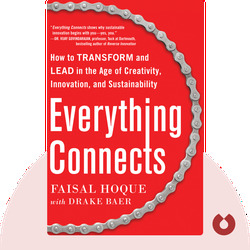 Faisal Hoque is an entrepreneur who founded MiND2MiND Exchange and B2B ForeSight. He has written articles for The Wall Street Journal, Fast Company, the Huffington Post and Forbes. He was also named one of the “Top 100 Most Influential People in Technology” by Ziff-Davis Enterprise. Having previously worked as a contributing writer at Fast Company, Drake Baer reports for Business Insider, covering leadership, strategy and organizational psychology.